Manage domains, users, courses, styles & themes, and integrations. Domain Settings allows you to customize your domain to best suit your district or organization. This article walks through the options in Edit Settings to give an overview of this powerful feature. The settings you can edit on this screen are arranged in alphabetized cards. This article provides an overview of those settings. Activity Templates: If enabled, Buzz allows you to create activity templates that content authors can copy items from the syllabus of the indicated course and edit for their own needs. 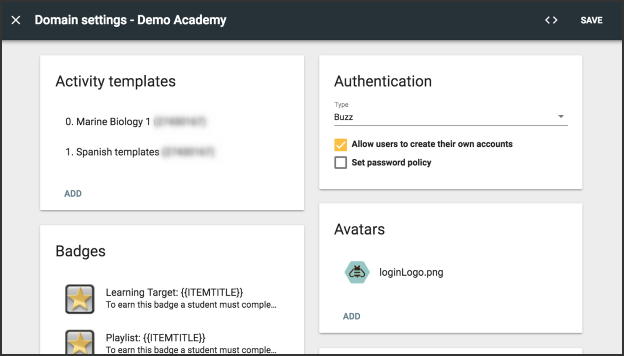 Authentication: Buzz supports the use of Single Sign-on (SSO) features to allow users to sign into one application (for example, a student information system) and be automatically logged into Buzz without needing to re-enter credentials. Avatars: If enabled, Buzz allows users to choose a profile picture from a list of pre-approved avatars. From this card, you can add, upload, and delete these avatar images. Badges: Buzz allows course authors to set up badges that can be automatically awarded to students upon their completion of a specified activity or accomplishment, or awarded manually by a teacher or grader. From this screen, you can add, edit, and delete these Badges. 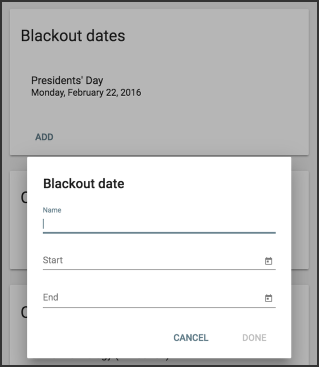 Blackout dates: Use blackout dates to specify the dates you don't want included when calculating due dates for continuous enrollment courses in your domain. Provide a Name and Start and End dates. Template Courses: If enabled, Buzz allows you to Add course templates that content authors can use as a structure when creating new courses. Required rights specify which rights you want a user to have in order to see the Editor tool. Library Extensions: Buzz allows you to make content from various online resources available in a Digital Library. These can include other courses within their district or organization as well as open sources like EdGate, OpenEd, and Kahn Academy. LTI Credentials: Buzz allows you to integrate with other learning tools (like Turnitin). 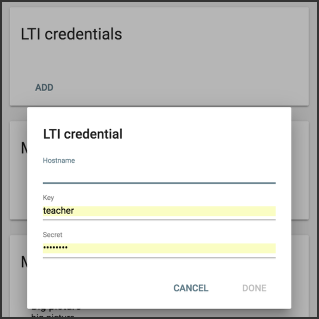 From this screen, you can add and delete Learning Tools Interoperability (LTI) Credentials. To add a new LTI Credential, you are asked to provide the Hostname URL, the Key, and the Secret. 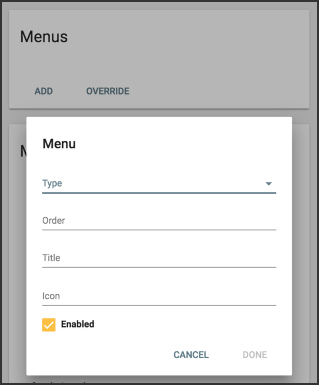 Menus: Buzz allows you to edit its default Main Menu items as well as add new, custom items. The desired Icon; review your icon options. Load https://example-custom-chat-application.com when a user selects that entry from the Main Menu. Course Metadata: Create metadata fields for teachers, course authors, etc to complete for courses. Domain Metadata: Allows admins to create Domain Metadata fields where users can record and track additional information about a domain. 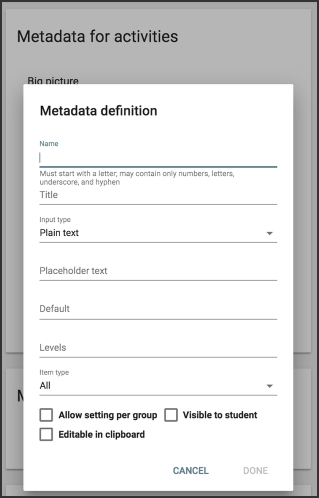 User Metadata: Allows admins to create User Metadata fields where users can track additional information about a user. Idle Timeout: Enter, in minutes, the amount of time Buzz can remain idle before logging a user out. Providing a timeout value prevents users from staying logged in indefinitely and having that time recorded and reported as activity. If you leave this field blank, users are not logged out due to inactivity. Prohibited Files: List any file types that you want to prohibit users from uploading to Buzz. Separate items with commas. Scoring Objectives: Buzz allows you to add Scoring Objectives to use in Multi-Outcome Scoring courses. 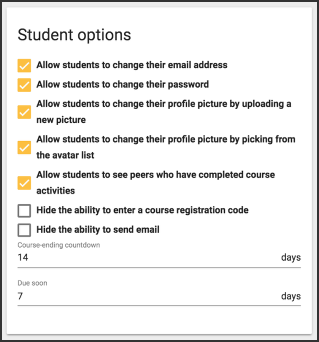 Hide the ability for students to send email from Buzz. Click to learn how to manage themes. You can open the Text Editor from the toolbar. 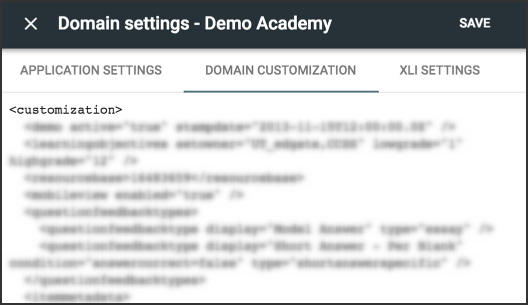 This screen allows you to edit Application settings, Domain customizations, and XLI settings. You will be required to use these screens to complete some tasks in Buzz, but for the most part these screens are for advanced users who prefer this editor to the Buzz UI. When customizing my domain under "Settings --> Domain Options --> Menu Entries-Standard, it will not allow me to edit any settings for any admin level menu items. 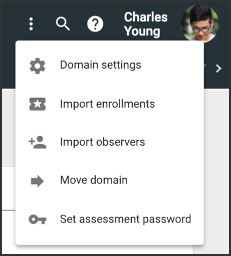 I have full permissions to the domain, but every time I click to edit Competencies, for example, it disappears and an objectives option creates itself under the Menu Entries-Custom. Any thoughts or advice? Hey Kevin, this is a bug. Those options shouldn't jump down to Custom. However, even though it is under Custom, you can still edit them. "objectives" is the ID for the tool that you call Competencies. 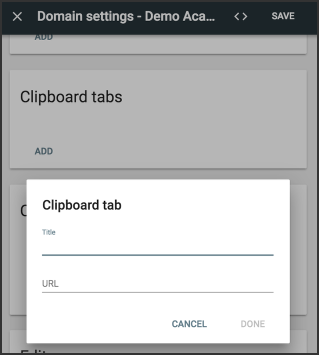 The Menu Entries - custom section above doesn't mention the URL substitution variables. The only place I've seen those is in old BrainHoney docs. I needed that info just now, so figured I'd paste it here. TOKEN - The xLi authentication token for the currently logged in user. When using this variable, url must be a secure URL that starts with https. 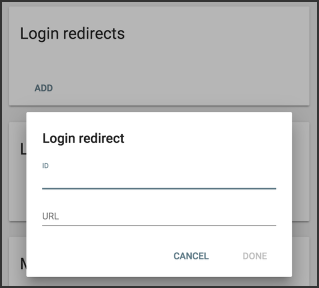 USERID - The ID for the currently logged in user. USERDOMAINID - The domain ID for the currently logged in user. USERSPACE - The userspace for the customization domain, or the domain userspace visible in the top level URL. ENROLLMENTID - The ID of the currently selected enrollment. COURSEID - The ID of the course associated with the currently selected enrollment. QUERY-<param> - The value of the top page's query parameter with the case-sensitive name of <param>. The application only replaces this variable if external is not set to true. In the new UI, what does the Domain Option "Hide Activities" do? I had assumed it would change visibility of the existing activities of certain types, but it doesn't do that according to what I've seen. The "Hide Activities" option removes the specified activities from the new item creation options. It will not affect items of that type that are already created, but will remove that type from being available when creating new items in a course. Due to the nature of how the XML format can change we haven't put out a guide, but would recommend creating the rubric using the editor there (accessed via the pencil icon when adding the rubric template). 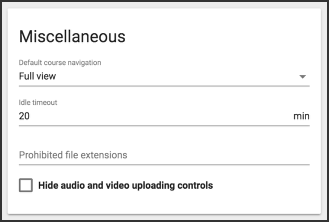 The upload option is there for if someone were to share a rubric created in Buzz that they downloaded. I added a rubric to a domain by creating it using the editor (using the pencil icon as described above). When I am editing a course within that domain and try to add the rubric to an assignment, it doesn't show up on the list. If it matters, my user account is in a different domain ... does the rubric need to be added to the domain that contains the user accounts of course editors, or the domain where the course resides (or both)? To access the templates defined on a domain the user must log into that domain's userspace (meaning the URL in the address bar needs to be the domain where the template is defined). So let's say the users are in a domain called Users and the template is defined in a domain called Template, to access the template you'll have to log into template.agilixbuzz .com rather than users.agilixbuzz .com.